Rush Service : 1 business days - A multi-function tape measure tool kit equipped. 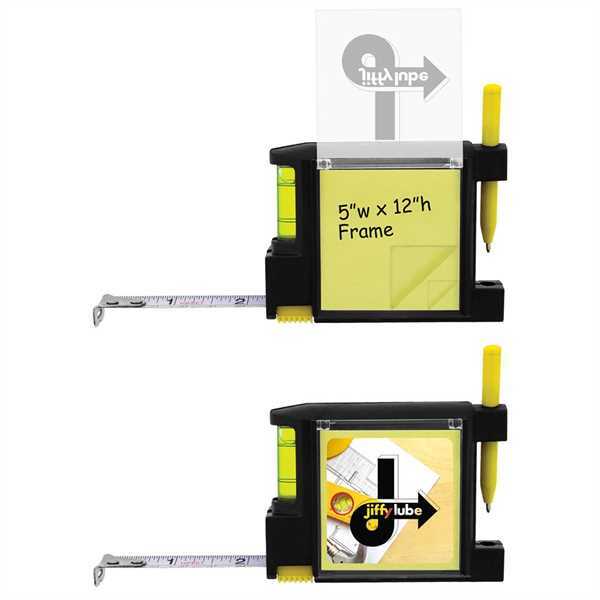 Comes with a level, sticky notepad, yellow plastic pen, belt clip and 10-foot tape measure. Tape come with with both standard and metric measurements. Size: 3 " x 2 3/8 "